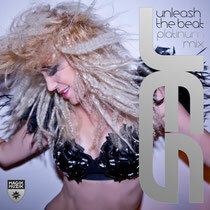 JES recently released the platinum mix of her ‘Unleash The Beat’ series on Magik Muzik. The first in four continuous mixes to be released throughout 2014, ‘Unleash The Beat - The Platinum Mix’ features hand-selected tracks that have become staples in JES' sets, including the Pedro Del Mar & DoubleV Remix of Tiesto ft JES – ‘Everything’, Ferry Corsten ft JES – ‘In Your Eyes [Dirty Chips Remix Clubmix]’, Roger Shah JES & Brian Laruso – ‘Higher Than The Sun (Aly & Fila Remix)’, and more. JES: "Making my previous ‘Unleash The Beat’ comps has been such a blast but I wanted to raise the bar so I came up with the idea for quarterly mini mixes between the big annual, double album releases to keep the vibe alive for the fans." After a successful 2013 packed with back-to-back singles, the release of her album ‘Unleash The Beat Volume 2’, and almost 70 episodes of her radio show on over 50 stations worldwide, JES has already taken 2014 up a notch by collaborating with ATB for three tracks on his latest album ‘Contact’, performing at the TEC Awards with BT at NAMM in January, and bringing her live DJ show to cities like Miami and Dallas. JES: "I've always heard music as colours and naming them after what inspired me seemed like the natural choice. When the mixes blend at exactly the right moment, it moves you into a new dimension. That feeling is like platinum to me. Take a listen and see where it takes you!"